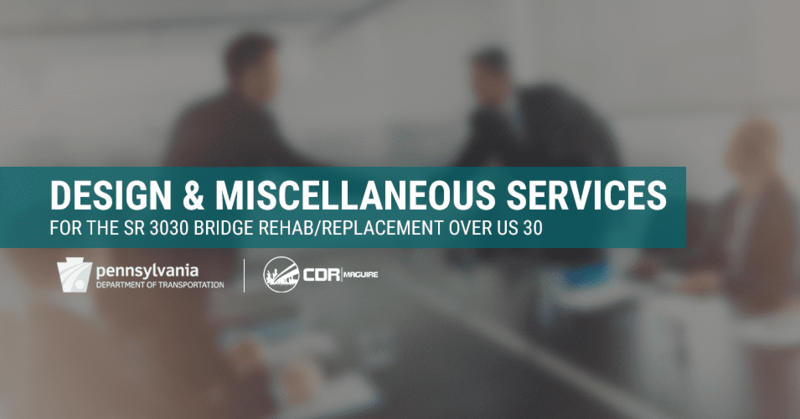 Rehabilitation/replacement of a bridge and bridge approaches located in District 12, Westmoreland County, Hempfield Township SR 3030 over US 30 near Westmoreland Mall. The agreement will consist of full designs (PE, FD, ROW, Utility & Services during Construction) and includes bridge inspection and S.U.E. work.